We would like to highlight one of the amazing programs we sponsor. 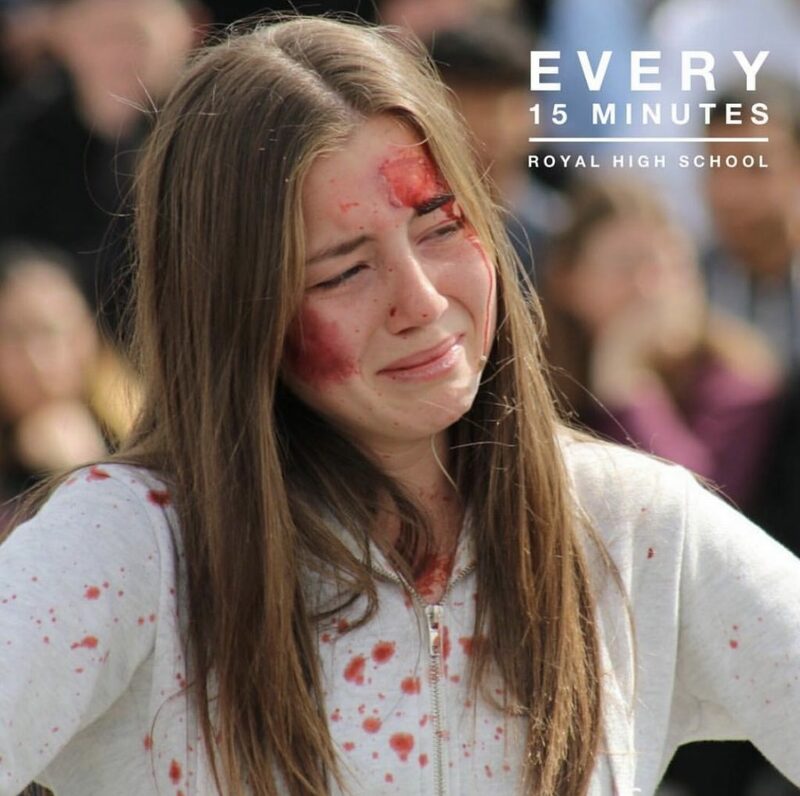 The Every 15 Minutes is a powerful program designed to make teens think about the consequences of drinking and driving. A dramatization is done that forces students to face the realities of what can happen when you drink and drive along with the affects it can have on the families and friends of all parties involved in such an incident. A simulation is done of a car crash, including wrecked cars and injured parties. The Simi Valley Police Department, Fire Department and Emergency Responders reenact a drunk driving accident with injury and fatalities complete with blood and real-life urgency. They lay out for students exactly how horrific an accident caused by drinking and driving can be. How one minute you can be having fun, and the next minute your entire world changes. The drunk driver is arrested on the spot, the victims are taken away and the story doesn’t end there. In the classroom, a grim reaper enters the classroom and places a rose on the desk of a student representing another tragic death caused by drinking and driving. In the United States someone dies because of an alcohol related incident every 15 minutes, a point that is powerfully drilled in with this exercise. The students do not return to the classroom. Instead, their parents are informed of their passing just as they would be if it were all true. This is to show the impact it would have and how far it would spread through family and friends. Just how many lives would be impacted by the choice to drink and drive. The following day the school comes together, and those students return. They write a letter to their parents and read it aloud to the entire school. This is meant to be emotional, and it is. This program is an amazing approach to teaching students about the dangers of drinking and driving. Making the horror a reality has a far greater impact than simply stating statistics.